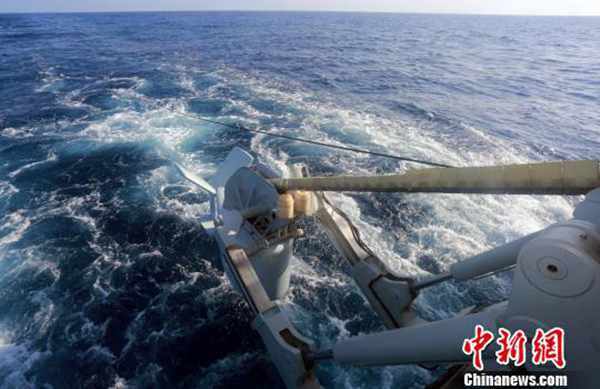 In late November, with the participation of onshore troops, surface ships, submarines and air officers, several new warships from a destroyer military unit of the South China Sea fleet launched a week-long targeted anti-submarine drill, furthering the fighting capacity of the participating units. 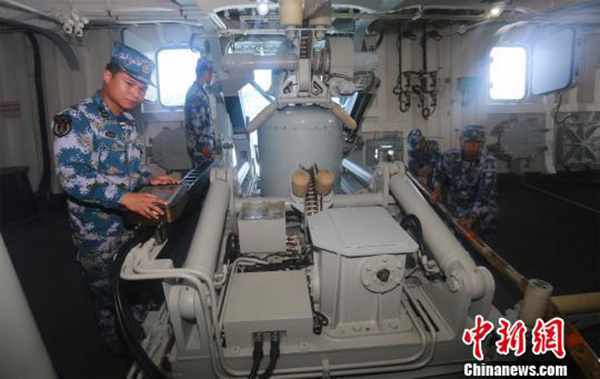 According to Hu Weihua, the unit leader, more than 10 tasks were covered during the drill. In the process, participating forces simulated circumstances that would exist on a real battlefield. The exercises were intended to improve coordination between officers and soldiers, as well as the strategic skills of the commander. The two teams practiced dozens of effective strategies during the drill. Afterward, the participants came together to discuss and analyze the experience. BEIJING, Dec. 1 (Xinhua) — Beijing Municipality on Thursday issued an orange alert for air pollution in the next three days. The orange alert, the second highest in a four-tier warning system, will be effective from midnight Thursday, according to the city air pollution emergency response office. An orange alert means heavy pollution — PM2.5 density of higher than 150 micrograms per cubic meter of air — for three consecutive days. When the alert is in force, outdoor activities in schools are to be canceled, and construction projects suspended. The smog is expected to disperse Sunday evening when a cold front is forecast to hit the city, according to the city’s meteorological authorities. An extra 10 percent consumption tax will be imposed on “super luxury” vehicles to be sold in China, said the Chinese Ministry of Finance. Buyers of automobiles costing more than 1.3 million RMB ($188,852) will be hit with the tax starting Dec. 1. This tax is China’s latest move to combat conspicuous consumption and promote energy conservation. According to the notice issued by the ministry, passenger cars and light commercial passenger vehicles selling for 1.3 million RMB (excluding VAT) and above will also be subject to another 10 percent consumption tax in the retail sector, in addition to the current consumption tax. 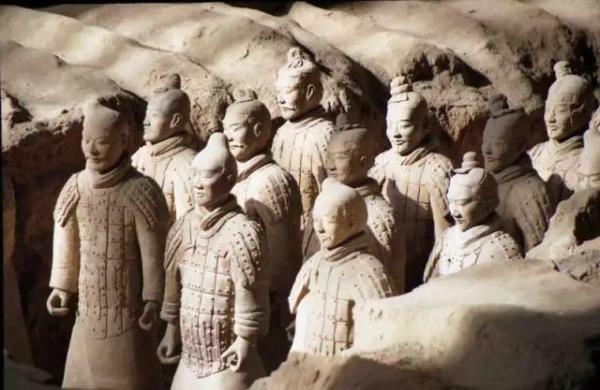 Archaeological discoveries point to the existence of mercury rivers in the mausoleum of the first Qin emperor, experts concluded at a recent seminar about the study of terracotta warriors. Over 100 scholars and experts discussed the excavation work of the mausoleum at the seminar. The depth, width and length of the structure are 30, 50 and 80 meters respectively. According to several Chinese classics, there are mercury-filled rivers underground in the mausoleum. Now, recent research reveals that there were indeed such rivers at the bottom of the mausoleum, according to a drainage map from the Qin Dynasty (221-206 BC). 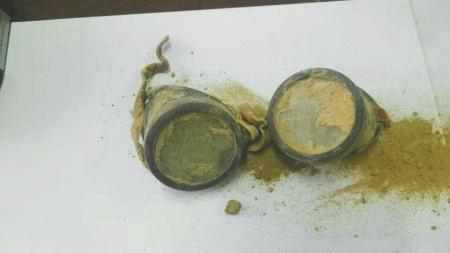 Experts believe that the large quantity of mercury in the burial space was transported from 100 kilometers away in Xunyang County, Shaanxi province. Moreover, archaeologists found more than 200 small pits for stables near the mausoleum in Shangjiao Village. The excavated objects from the pits were related to horse taming and cultivation. The mausoleum also has many objects made of bone, including objects for military use, entertainment and daily use, indicating that objects made of bones were widely used and produced in the late stages of the Qin Dynasty. Most of the bones were from pigs, horses, cows, sheep and deer. Over 50 small objects made of bones were discovered in Pit K0007. Scientists speculate that these objects may have been used as parts of musical instruments. This is the first time wares made of bone have been released to the public, providing a great reference for the study of economics and society in the Qin Dynasty. 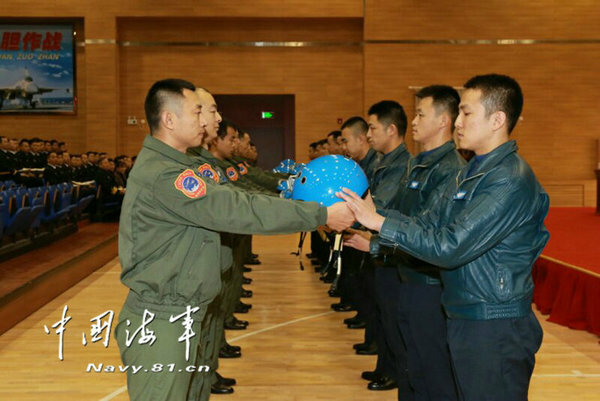 Twelve soldiers were sworn in to become shipborne fighter plane pilots on Nov. 30 at a meeting in honor of Zhang Chao, who was killed due to a plane malfunction on April 27. After Zhang’s demise, officers and soldiers transformed their grief and stress into motivation, achieving one success after another in training. 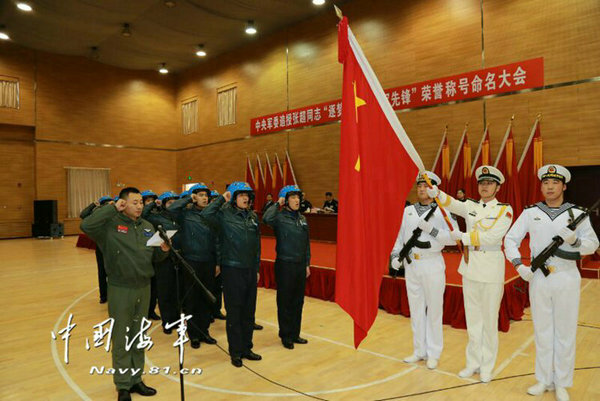 Their efforts improved the training system of shipborne fighter plane pilots, marking another important achievement for the construction of Chinese naval power. 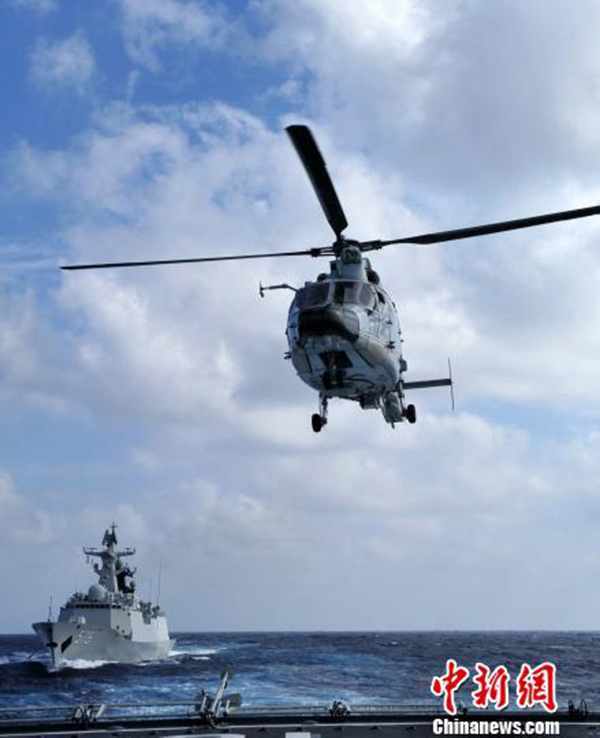 Since May, the Chinese navy has completed offshore training, joint training, battlefield construction and a number of other missions. 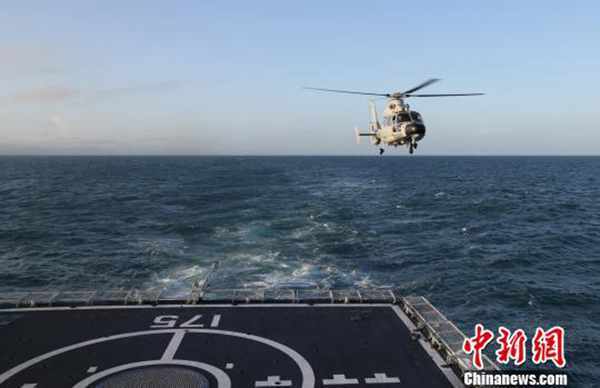 What’s more, the Chinese navy has carried out routine patrols outside the island chain and accomplished combat training for shipborne fighter planes. Great breakthroughs have also been made in military force-building, such as aircraft carriers and nuclear submarines. A skeleton was recently found in a remote area of northern Xinjiang Uygur Autonomous Region. 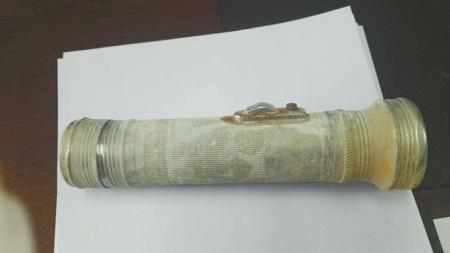 Police believe the remains had likely been there for more than 50 years, and that they may belong to a male geologist. The remains were uncovered in an unpopulated area near Lop Nor, where no human had passed in decades, police said. Initial investigations suggest that the deceased was a male working in Xinjiang. Police couldn’t say exactly how he died, but speculate that he may have gotten lost in the remote area. According to a newspaper and several letters found near the skeleton, experts believe he was a geologist named Deng Xueguang, originally from Sichuan. Police have contacted their colleagues in Sichuan to ask for relevant information, hoping to find Deng’s relatives or friends. 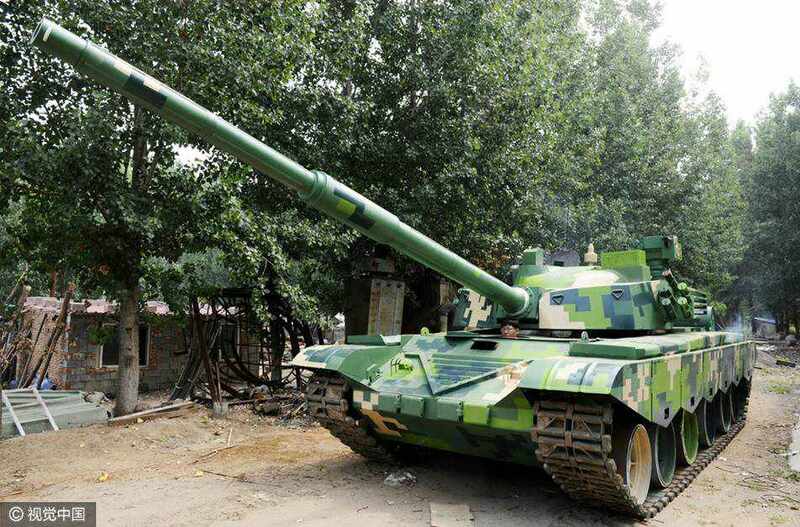 A full-scale model of a type-99 tank was completed at an iron processing plant in Dezhou, Shandong province on Nov. 30. A group of young men started work on the model by referring to its illustrated design 10 months ago. China’s gender pay gap is widening, with no signs of pulling even, according to the Green Book of Population and Labor 2016, released by the Population and Labor Economics Institute of the Chinese Academy of Social Sciences on Nov. 30. 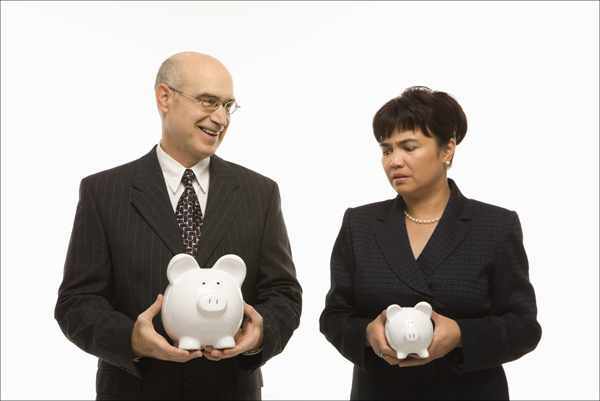 In 1990, women made on average 77.5 percent of men’s salaries, but the rate dropped to 65.8 percent in 2010, as shown by a national survey on the status of women. The tendency of women to marry men with equal or higher levels of education also persisted from 2000-2005, reflecting the fact that the more education women have, the later they marry. According to the report, per capita disposable income in China increased by 7.4 percent in 2015, higher than increases in previous years. However, the income distribution system still faces challenges, as represented by the low proportion of residents’ income to GDP, and of labor remuneration to primary distribution. In addition, there are still large pay gaps between different industries. The city of Shanghai, with its rapidly growing population, will boast the largest metropolitan area around the world within the next three to five years, the Chinese Academy of Social Sciences noted in a green paper on Nov. 30. Shanghai’s metropolitan population is to exceed that of Tokyo’s biggest metropolitan circle. The green paper pointed out that China’s urbanization rate reached 56.1 percent in 2015, meaning that over half the country’s population lives in urban areas. Shanghai stands out for its massive population, even among other metropolises in China and around the world. Statistics show that the population density of Shanghai’s downtown district is much higher than that of central Tokyo, though it is lower than that of Seoul and Beijing (within the city’s 5th Ring Road). But it is worth noticing that the population density of Shanghai’s outer area may already have surpassed that of other metropolitan areas. The population density of Shanghai’s eight main districts was as high as 24,457 people per square kilometer in 2013, much higher than in the city centers of Shenzhen, Guangzhou and London. The green paper indicated that, based on overall size, the gross population of metropolitan Shanghai now ranks second in the world, approaching that of Tokyo. Taking growth rate into consideration, the Shanghai metropolitan area will likely be the largest one anywhere in the world within the next five years. 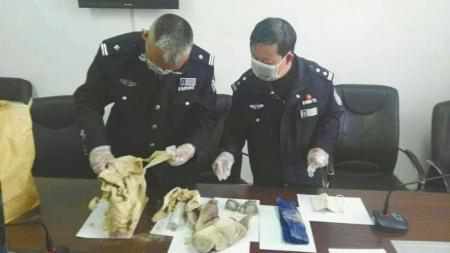 A 7-month-old infant in Yiwu, Zhejiang province, died on Nov. 30 after being swaddled in too much bedding. Born in May, the baby’s arrival brought infinite joy to his family. Unfortunately, he was found cold and lifeless in his bed on Wednesday morning. His mother, surnamed Zhu, immediately called an ambulance. However, the medical personnel was unable to save the infant’s life. A doctor said the baby had no vital signs when he arrived at the hospital. Babies can overheat because of too much bedding or clothing, and overheating increases the risk of sudden unexpected death of infants (SUDI), which is most likely to occur in winter or spring in the first year of a baby’s life. Infants should not sleep with too much bedding or other wrappings. Instead, parents are advised to choose loose and soft clothes. 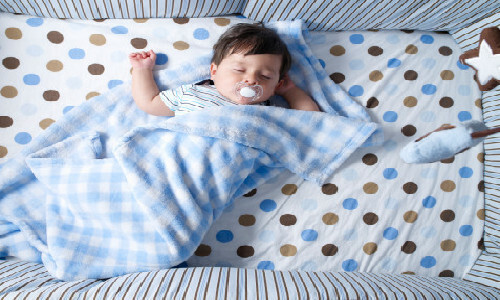 Doctors suggest that babies sleep in a cot beside parents’ beds, where it is easier to look after them.